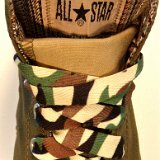 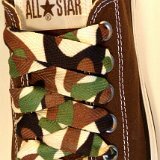 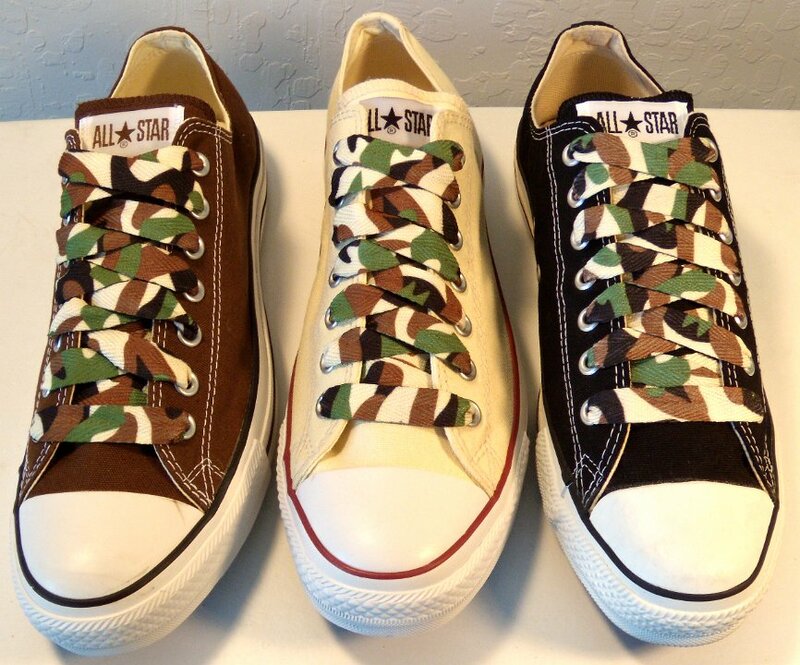 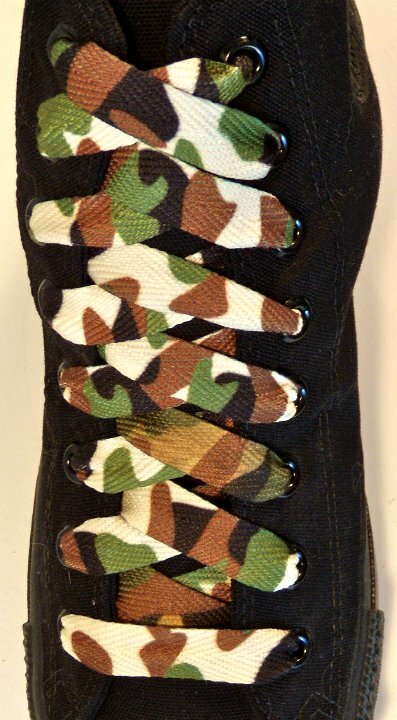 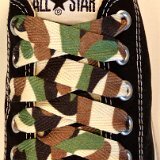 Photo gallery showing camouflage print shoelaces on various pairs of chucks. 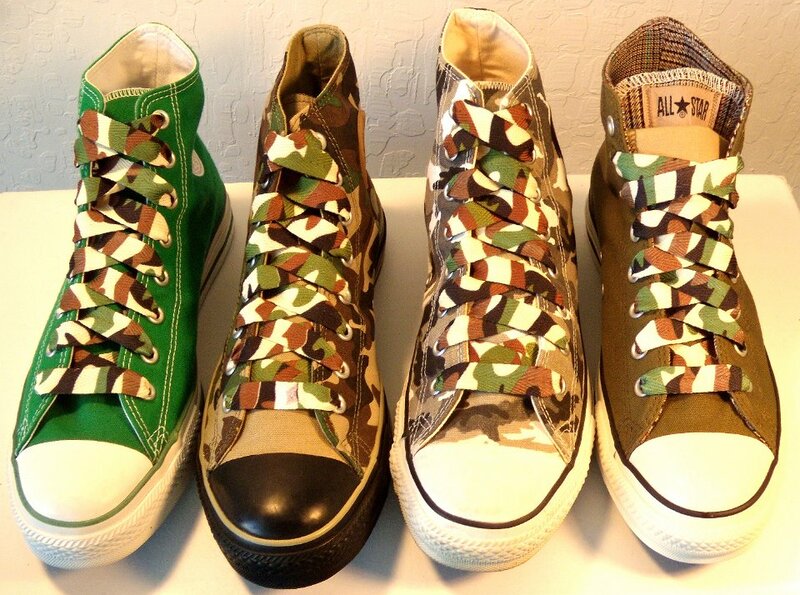 1 Camouflage Shoelaces on Chucks Camouflage print shoelaces on green camouflage print high top chucks. 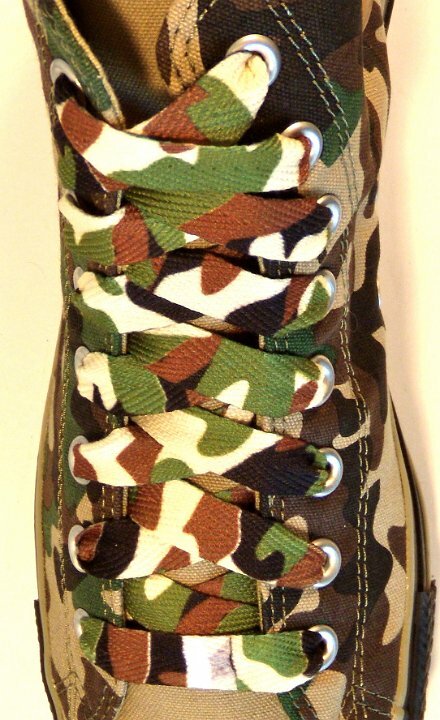 2 Camouflage Shoelaces on Chucks Camouflage print shoelaces on brown camouflage print high top chucks. 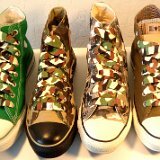 3 Camouflage Shoelaces on Chucks Camouflage print shoelaces on olive green double tongue high top chucks. 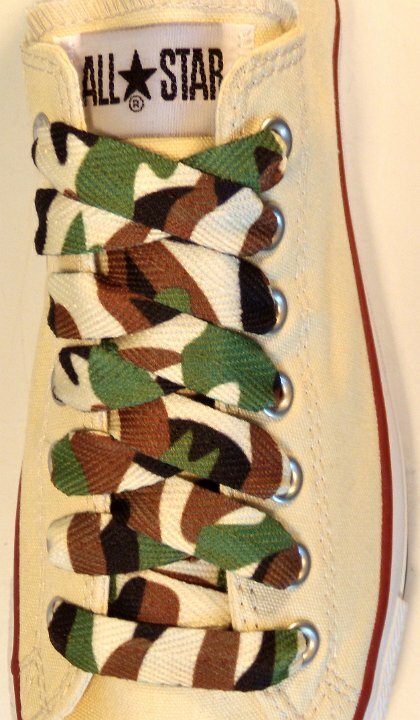 4 Camouflage Shoelaces on Chucks Camouflage print shoelaces on kelly green high top chucks. 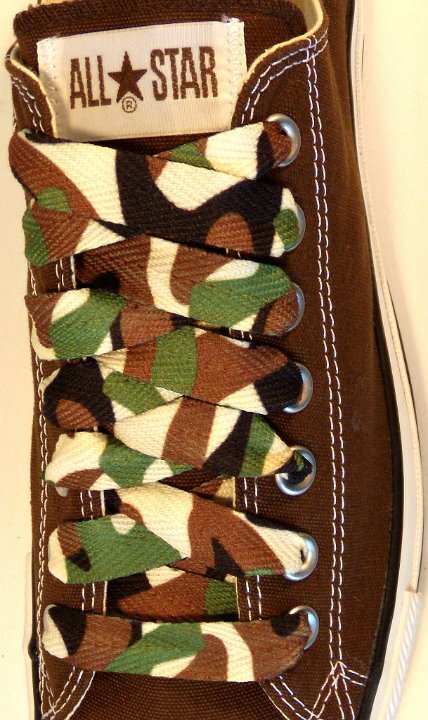 5 Camouflage Shoelaces on Chucks Camouflage print shoelaces on chocolate brown low cut chucks. 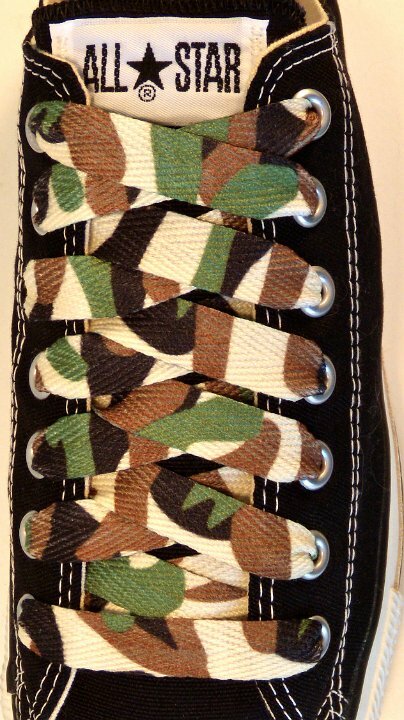 6 Camouflage Shoelaces on Chucks Camouflage print shoelaces on black low cut chucks. 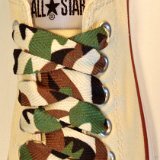 7 Camouflage Shoelaces on Chucks Camouflage print shoelaces on unbleached (natural) white low cut chucks. 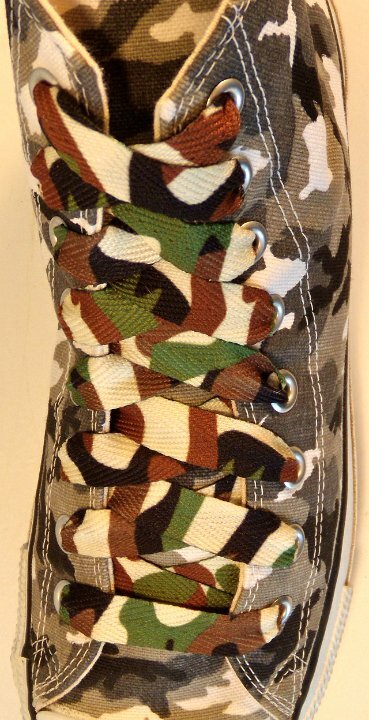 8 Camouflage Shoelaces on Chucks Camouflage print shoelaces on monochrome black high top chucks. 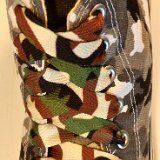 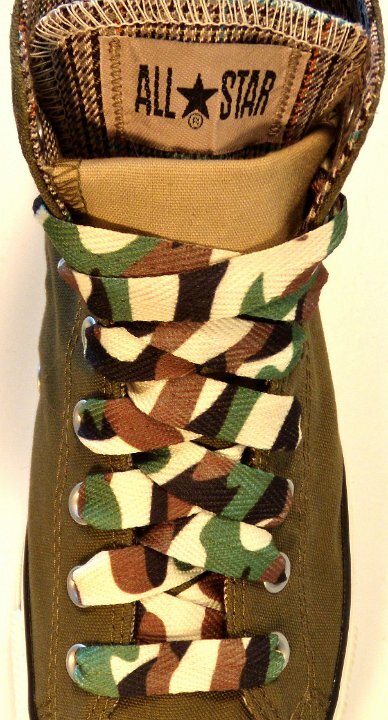 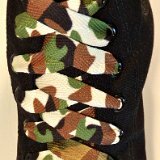 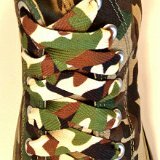 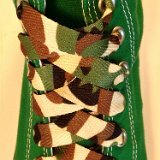 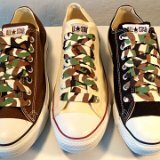 9 Camouflage Shoelaces on Chucks Camouflage print shoelaces on chocolate brown, natural white, and black low cut chucks. 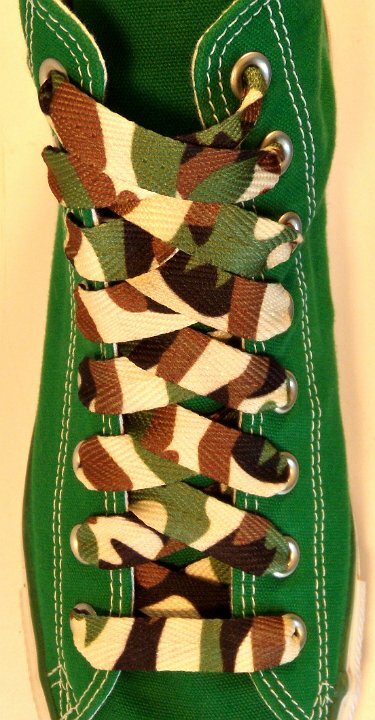 10 Camouflage Shoelaces on Chucks Camouflage print shoelaces on green and camouflage print high top chucks.